Applying the principle of "feeding the grant by estoppel" under Section 43 of the Transfer of Property Act, the Supreme Court granted relief to a party, who was misled to purchase a property by erroneous representation of title by the vendor. The appellant before the SC had instituted a title suit in 1995, seeking declaration of title over a plot. The plot was purchased by him on January 6, 1990, without noticing that it was declared as ceiling surplus land by the government two years ago. However, on September 14, 1990, the land was declared free of ceiling limit. Later, he effected mutation of the property in 1991. Four years later, the vendor trespassed into the property and took over its possession. This led to the institution of the title suit. 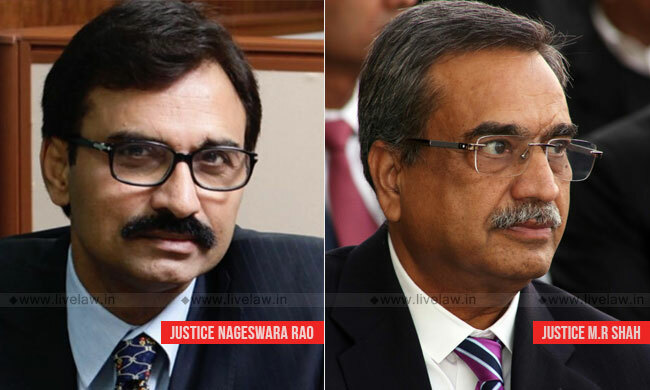 In the further appeal by the plaintiff, the SC bench of Justices L Nageswara Rao and M R Shah, accepted his claim. "Thus, if at the time of transfer, the vendor/transferor might have a defective title or have no title and/or no right or interest, however subsequently the transferor acquires the right, title or interest and the contract of transfer subsists, in that case at the option of the transferee, such a transfer is valid. In such a situation, the transferor cannot be permitted to challenge the transfer and/or the transferor has no option to raise the dispute in making the transfer". The Court held that the intention behind Sectiomn 43 was based on the "principle of estoppel as well as the equity". "The intention and objects seems to be that after procuring the money (sale consideration) and transferring the land, thereafter the transferor is estopped from saying that though he has sold/transferred the property/land on payment of sale consideration, still the transfer is not binding to him. That is why Section 43 of the T.P. Act gives an option to the transferee and not the transferor. The intention of Section 43 of the Act seems to be that no body can be permitted to take the benefits of his own wrong". Referring to the judgments in Ram Pyare vs. Ram Narain and others and Jumma Masjid vs. Kodimaniandra Deviah, the Court held that to apply Section 43 TP Act, it was immaterial whether the transferor acted bona fide or fraudulently in making the representation.It is only material to find out whether the transferee has been misled. Because, Section 43 uses the words ""where a person fraudulently or erroneously represents". Applying the principle in the case, the Court found that the vendor had acquired title over the property, when it was declared ceiling free after the sale. Therefore, the appeal was allowed, declaring the rights of the plaintiff.